The most advanced excavator Yanmar has ever made. 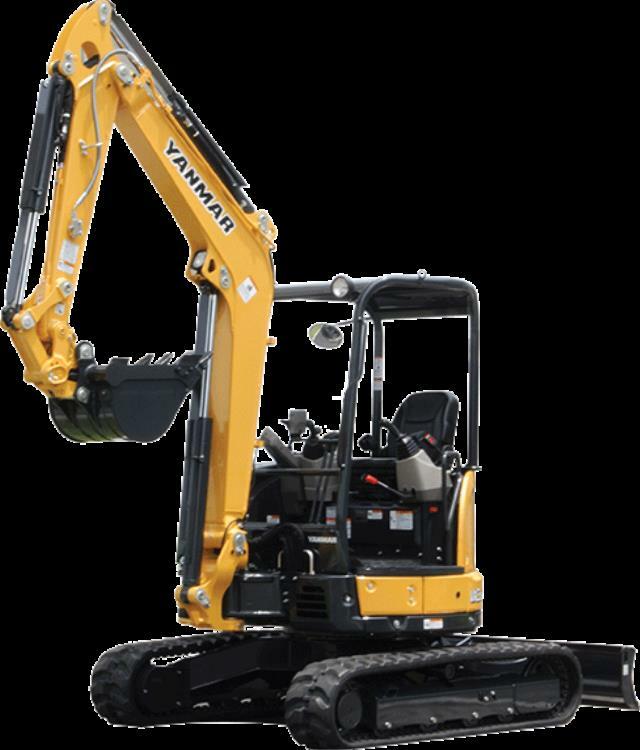 Introducing the most innovative, fuel-efficient excavator Yanmar has ever built. The advanced technology zero tail swing ViO35-6A features an electronically controlled Tier 4 engine that meets emissions regulations without the need for a diesel particulate filter. It also comes standard with ECO and Auto-Deceleration modes for even more operational efficiency, which means the new ViO35-6A can now deliver up to 20% less fuel consumption than previous models. The YANMAR ViO35-6A is the most productive digging, lifting, do-anything excavator you can use. * Please call us with any questions about our backhoe track yanmar 24/18/12/16 inch bucket rentals in Tulsa OK and neighboring communities in Northeastern Oklahoma.